I don’t know about you, but to this day, I like a good peanut butter and jelly sandwich. Maybe it’s a childhood memory or maybe it’s just the combination of flavors and textures. Since I’m a fan of the PB&J, I’ve done some experimenting with methods and ingredients. Bread is my least favorite part and the jelly is the most. So I’ve doused the bread with jelly and put just a dab of my favorite crunchy on. No good. Insanely thick bread? No good. Swaths of double crunch peanut butter? Still, no good. You’re probably wondering why in the world I’m writing about PB&J and may have guessed that it’s a metaphor. I see so many marketers with all the core ingredients they need for success, and yet they gravitate towards that “one thing” like, content marketing (bread) or just social media (jelly), or stuck on SEO (peanut butter). Doing that is simply no good. Content makes the online marketing world go round, but findability and social shareability are essential for reach and engagement. The perfect PB&J marketing mix combines the ingredients to complement each other, not overwhelm or exclude. And so it is with optimizing and socializing content marketing. Find the right balance and your customers will find, share and act on your delicious content. Companies are investing like never before in content, search, and social media. But are those efforts integrated? Are they aligned to create a consistent and compelling experience for buyers? The customer journey from awareness to purchase is by no means linear, so why should our online marketing be? Just say no to siloed marketing! 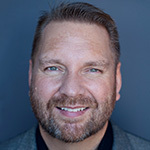 During this high impact, content rich session, Lee Odden, author of Optimize, will provide you with proven insights, tips and tactics on integrating and optimizing social media, search and content marketing to attract more customers and grow your business. Let’s go beyond white papers and webinars to talk about how B2B’s leading content marketers are really using content marketing to drive business. 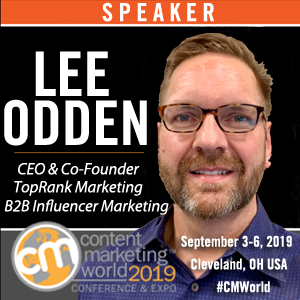 You’ll learn how the most successful content marketers are proving the case for content within their own organizations, how they have developed a long-term strategy, and what it takes to lead a content marketing program that doesn’t just work … it delivers in spades. Incredibly, most companies could win far more customers on the search and social web, simply by “sucking less” at their content marketing. 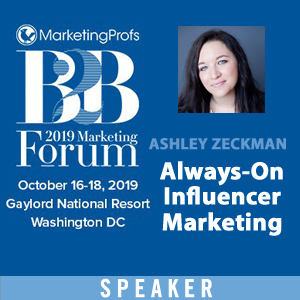 This presentation, with a crowdsourced title, will offer examples, insights and practical advice for better content marketing planning that’s optimized for findability and conversion plus socialized for even more findability and share. Three major problems with most content marketing and social media efforts. A new model for social content success to help attract, engage and convert. How social media and content are driving a more customer focused strategy for modern search engine optimization. Are the glory days of SEO over? Have social media and content marketing nailed the coffin on optimizing for search? No! This presentation will share 5 ways an integrated approach to optimization with content and social media is the way forward for successful online marketing in 2014 and beyond. Connecting a social media strategy to an overall business and marketing strategy is essential for companies that wish to scale their social media performance. Tapping into internal and external resources, processes and tools will also support more efficient and effective social media marketing. This workshop will outline an approach that balances customer and brand interests through social media content, community, engagement and assists to sales. We’ll cover marketing strategy that’s social, integration of social media with existing marketing practices, customer profiles, major social networks, social content planning, creation, amplification and measurement. There’s one event I didn’t mention above where I’ll be attending but not speaking. It is the Pivot conference in New York on October 15th with speakers from Intel, Walamart, MTV, Kraft, NBC and our client, LinkedIn. Event info. What’s my objective with all these events? Well, I took most of the summer off from speaking or traveling and have clustered these events concentrate my travel. At each event, I’ll be able to create content, connect with potential customers, influencers, employees, current customers, industry media and friends. I’ll also be able to see how other speakers present information and find both marketing partners and possible vendors/resources. If you plan ahead, any event you attend can be “monetized” multiple ways. If by chance you’ll be in Boston, Minneapolis, Coralville IA, Philadelphia, New York, Madrid or Moscow over the next two months, I hope to see you at one of these events. 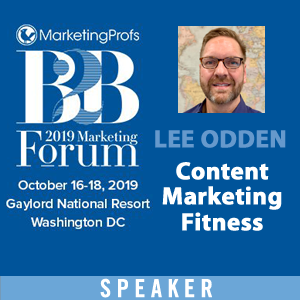 Can’t wait to meet you IRL at Social Brand Forum Lee. Nice article! Be an expert to optimize your content to make sense to the consumers. It is very challenging for the marketers. Keep it up. Hope you can right more articles! Thanks. 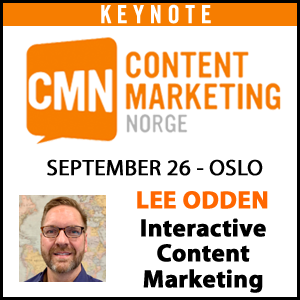 Hey Lee, thanks for mentioning BuzzSumo in SMSS. Good info for a beginner to social media. Keep posting !